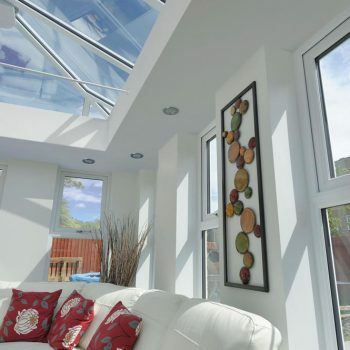 Orangeries are an innovative new take on the classic conservatory. 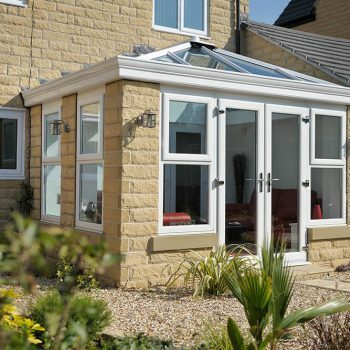 Benefiting from more brick compared to glazing, they offer you a more permanent and insulating room that feels like a natural extension. 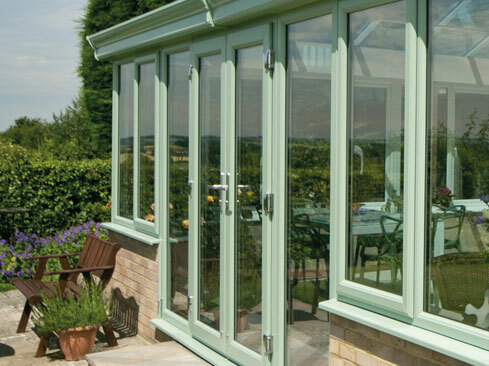 With a Mediterranean feel, they still benefit from stunning views and are perfect for a variety of uses. 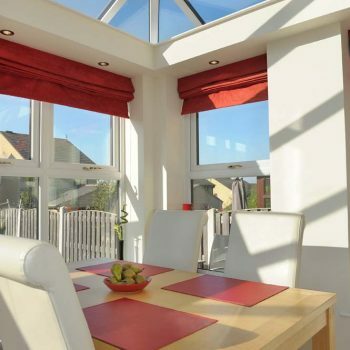 From a dining room that will impress your friends to a kitchen extension the whole family can enjoy; they will enhance the way you use your home. 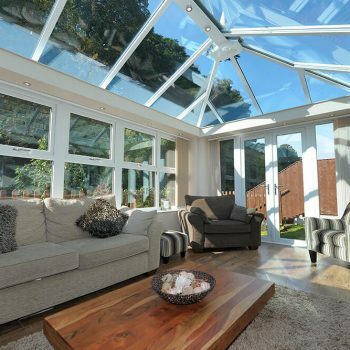 One of the main differences between orangeries and conservatories is the roof. 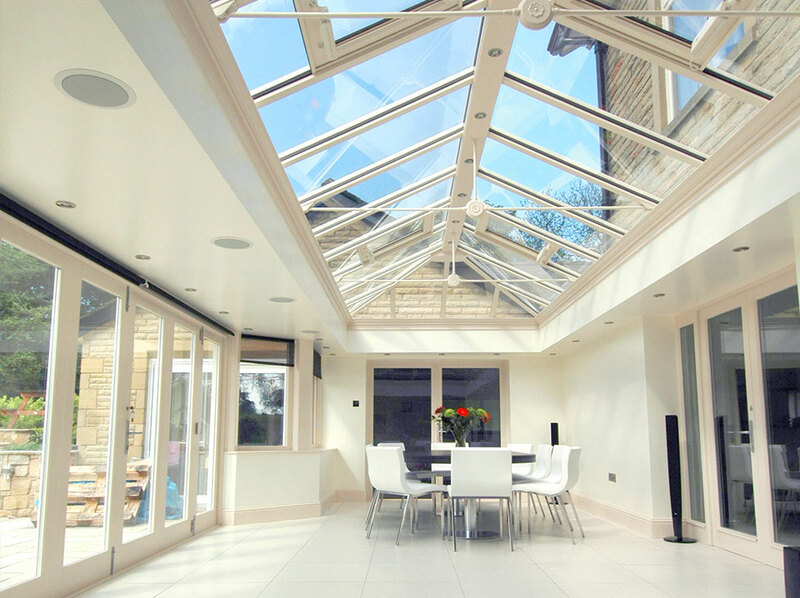 Orangeries often have a solid or even lantern roof; so you can benefit from improved insulation. 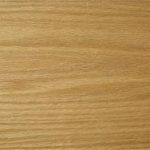 This also gives you an internally plastered ceiling that continues the feeling of it being a true extension of your home. 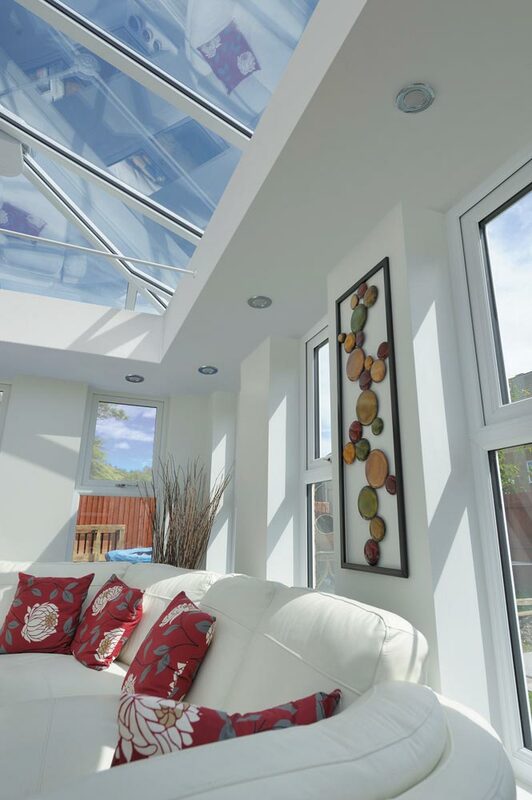 Use your orangery as a way to showcase your personality through a bright and vibrant colour. With a range of options including wood effect finishes; you can create any look you like. Get in touch to see our full colour range. 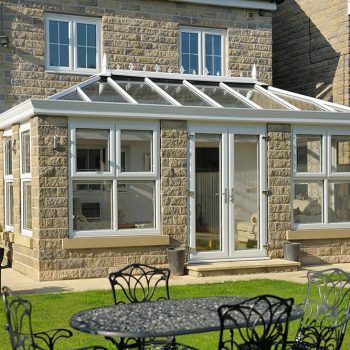 Our orangeries come with secure multi-point Yale locks that keep your home secure. 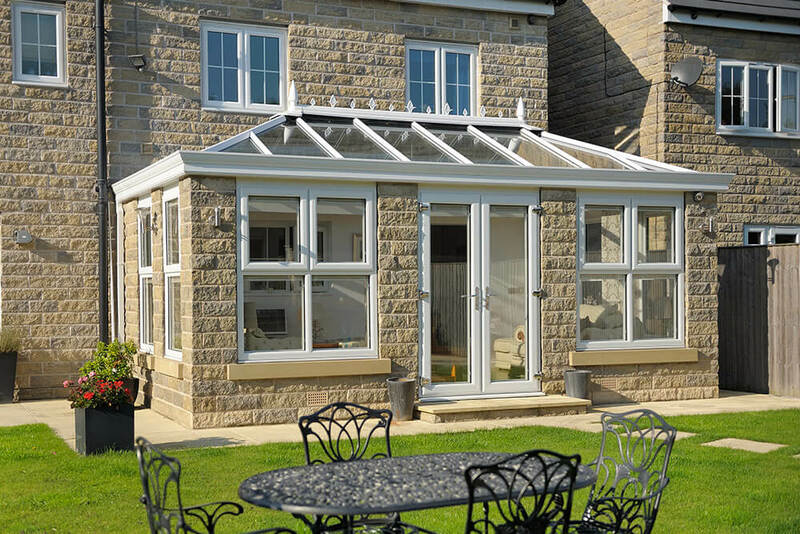 Rigorously tested to ensure reliability, these locks will make sure your conservatory feels as safe as the rest of your home. 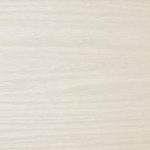 We have a range of easy-to-use and attractive handles that can add the final touch to your orangery, available in white, black, gold or chrome. 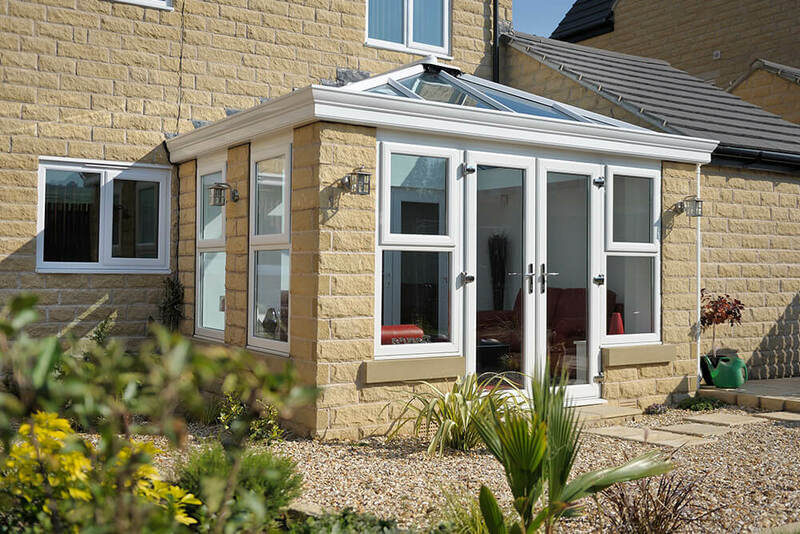 With insulating uPVC panels, brick and efficient glazing, orangeries are a delight to be in throughout the seasons. 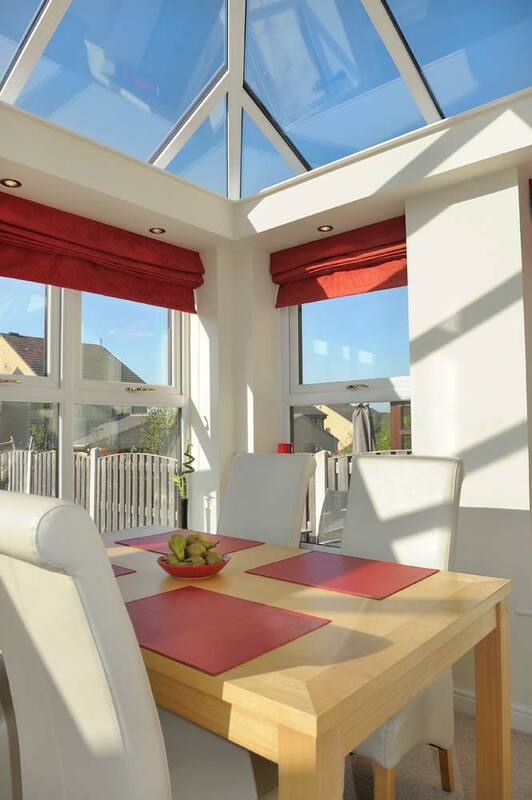 Heat isn’t lost through the walls and you will be protected against whatever the weather throws at you. 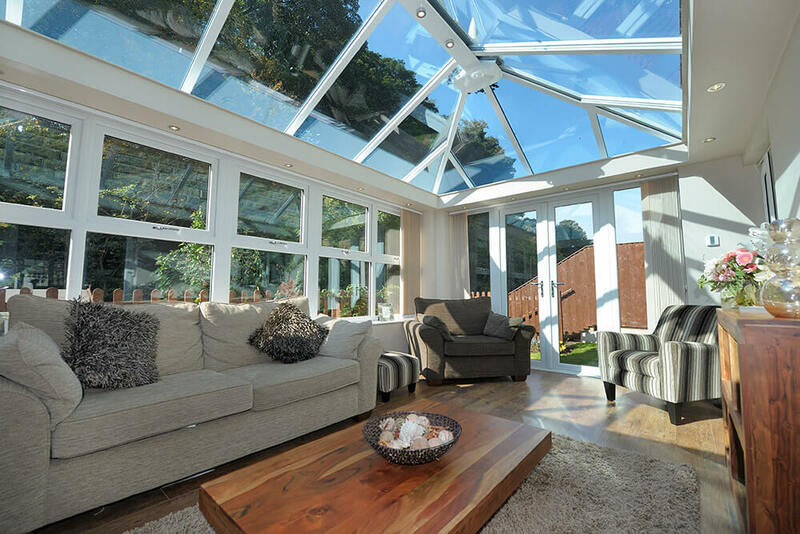 With a solar control glass roof or a warming solid roof, you will never have to abandon your orangery once the temperatures change.